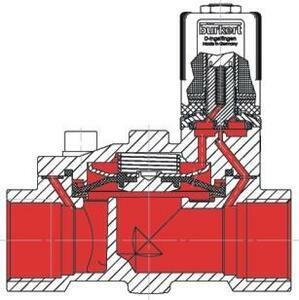 With this, closing is performed both by the force of the compression spring and by the medium pressure. the medium pressure builds up again above the diaphragm through a restrictor port in the diaphragm or through a bypass channel. The system closes as the result of the higher area ratio (above the diaphragm).